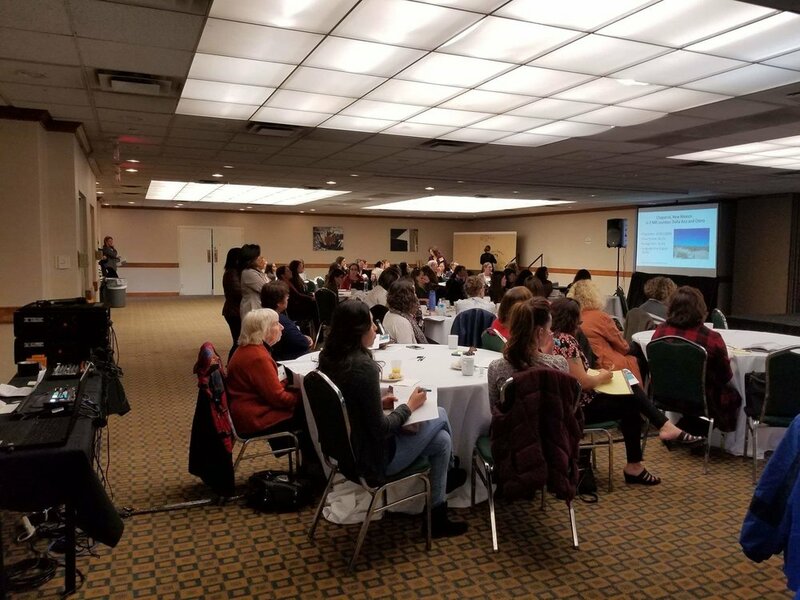 On Nov. 8 in Albuquerque NM, The Binational Breastfeeding Coalition (BBC) along with New Mexico WIC Breastfeeding on the Border Project, were invited to present at the New Mexico Hospitals and Clinics Maternity and Infant Care Summit. This year’s theme was “Bridging the Gap”. 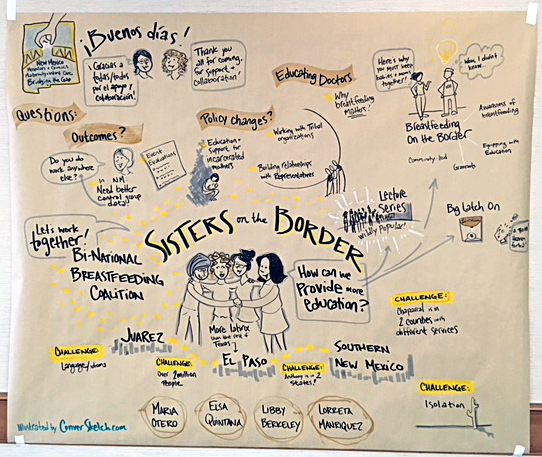 The BBC presented “Sisters on the Border” highlighting the collaboration between the 2 organizations. Emphasis at the conference was placed on the BBC Lecture Series, Look Who’s Talking, as well as New Mexico’s Breastfeeding on the Border Project’s promotora project. Conference presenters explained that traveling from El Paso, Anthony, Chaparral, Sunland Park, and Ciudad Juarez to other major Texas and New Mexico cities is costly and time consuming. 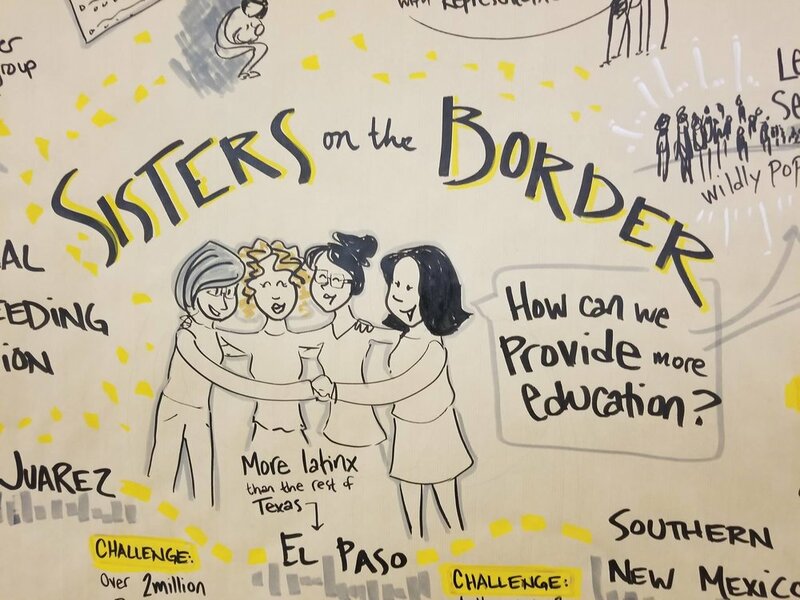 The “Sisters on the Border” presentation explained how our two organizations banded together to bring education to us at a fraction of the cost without compromising quality. 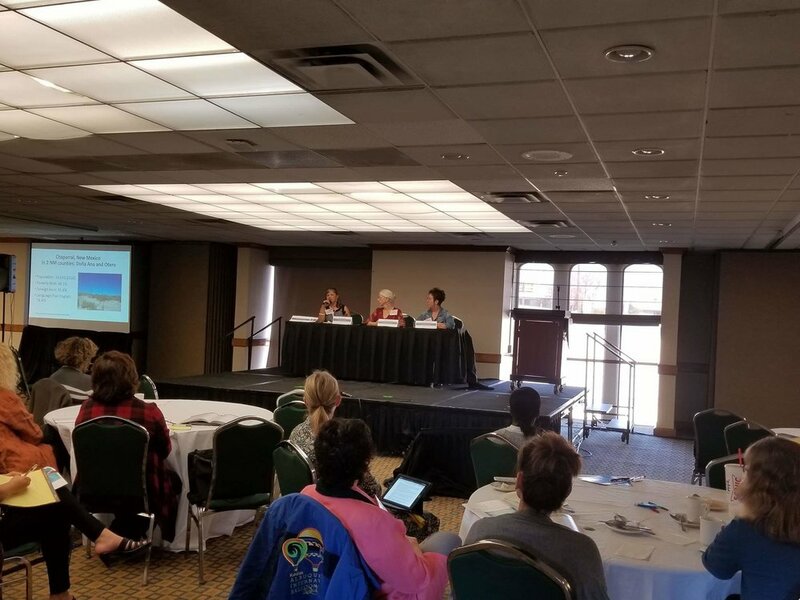 The Summit was well attended by 100 providers from New Mexico, Arizona, Texas, Kansas and Tennessee. BBC had the opportunity to network with the planning committee, which may provide opportunity for future collaboration. Please take a minute to look at the graphic artist’s interpretation of one of many sessions of “Bridging the Gap”. On June 22, 2018, seventy-seven registrants attended our second lecture, “Breastfeeding in the Millennial Age”. The speaker was Ms. Laurel Wilson, an internationally known lecturer with decades of experience in speaking, scores of publications and a speaking style that appeals to many different providers. Ms. Wilson, IBCLC, BS, CCCE, CLE, CLD is the co-author of two books, The Greatest Pregnancy Ever and The Attachment Pregnancy (both available on Amazon). The June 22 special conference day featured two lectures, “Breastmilk: Epigenetics and the Microbiome,” and “Up in Smoke: The Impact of Marijuana on Babies During Breastfeeding.” These lectures offered 4 hours of continuing education credit for IBCLCs, RNs, Social Workers, and CHWs. The day started with a light continental breakfast at the Sunland Park Casino conference room overlooking the Juárez Mountains in México. After everyone registered and enjoyed breakfast, the first lecture started. A fabulous lunch was offered to both meat eaters and vegetarians, then all enjoyed the afternoon lecture. An online evaluation was provided to all and after the results were analyzed, an astonishing unanimous positive review was enjoyed! Everyone agreed that lectures of this caliber are sorely needed in this region and all look forward to the next offering. The day was the result of a collaboration between The Binational Breastfeeding Coalition and Amamantar Fronterizo / Breastfeeding on the Border. 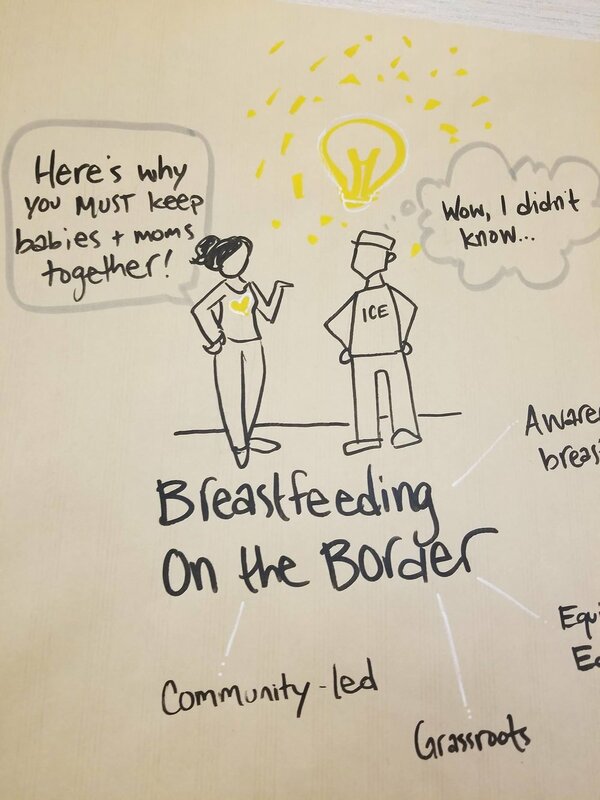 We are extremely grateful to Breastfeeding on the Border for providing funding for this watershed event for breastfeeding professionals here on the Texas-New Mexico-México border. Keep checking our website for further amazing offerings by the BBC/ Breastfeeding on the Border to come in early 2019.